n 1872, a young boy from Nolansville, Tennessee, S.W. McClaren (1869-1941), arrived with his parents in Milam County, Texas. “The family settled on the Little River in the Marlow Community where the rich lands of the river bottom appealed to the elder McClaren and his son who followed the long furrow of the years and later held many of its acres in his own name...,” as written in The Cameron Daily Herald on September 16, 1941. S.W. 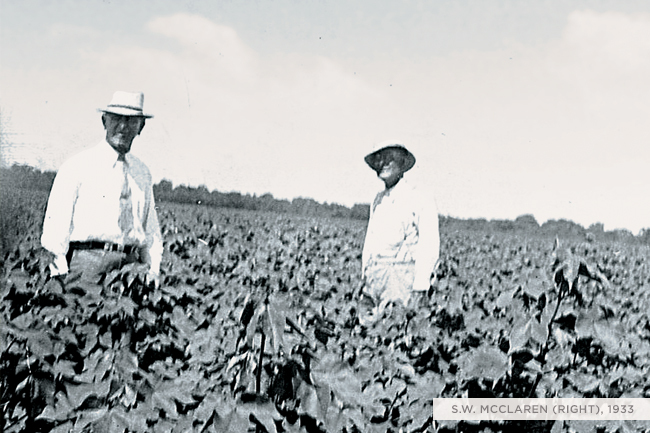 McClaren became known as “one of the large planters in the bottom lands of the Little River” and a man that “knew his business well,” as reported in The Cameron Daily Herald. 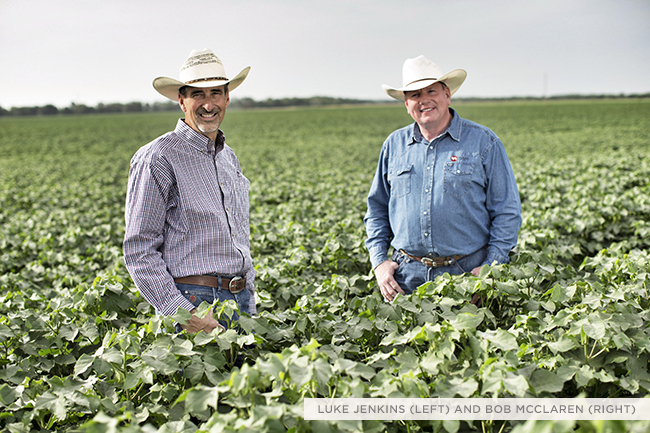 However, it was not until 1909 when he first emblazoned his cattle with the “44” brand that the story and tradition of 44 Farms® truly began. Today, four generations later, two great-grandchildren of S.W. and Josie McClaren, Robert S. McClaren and Janet McClaren Salazar, are continuing the same pioneering spirit. They are committed to pushing ideas forward, but never pushing values aside. At 44 Farms, our values and pioneer spirit begin with reverence to the majesty of God and never underestimating what He can do through ordinary people.